The Institute and Faculty of Actuaries (IFoA) has a strong Executive team, with significant capabilities in support of our strategic themes: education, regulation, member support, public affairs and thought leadership. The Executive team is organised into five separate but interdependent Directorates: Chief Executive's Office, Engagement and Learning, Operations, General Counsel, and Public Affairs and Research. Key responsibility: To be responsible for the work of the Executive, the financial management of the IFoA, and overall responsibility for the delivery of the organisation's strategy. A member of Management Board and an observer at Council and Chair of the Markets Development Board. Derek Cribb joined the actuarial profession in a consulting role in May 2010. He became Acting Chief Executive in September 2010 and was appointed to the role on a permanent basis in 2011. Derek has successfully steered the organisation through a period of rapid and substantial change, including a full review of its strategy and reshaping the organisational structure to deliver the strategy. Derek has broad leadership experience across the public, private and not-for-profit sectors. His roles have ranged from Chief Operating Officer at the Pension Protection Fund and CFO of Barclays Bank UK Customers and Products to leading the business support function in a major UK record label. He has also held senior positions in the food, logistics, outsourcing and technology sectors. Derek is a Fellow of the Institute of Chartered Accountants in England and Wales and a Fellow of the Royal Society of Medicine. He studied at Imperial College London, graduating with Honours in Chemistry in 1987, and undertook PhD research in Mechanical Engineering from 1987-1989. Key responsibility: To provide high quality qualifications and lifelong education for all our members. Clifford Friend joined the Institute and Faculty of Actuaries (IFoA) in January 2016 as Director of Education. This followed a distinguished career in Higher Education culminating as Professor and Acting Vice-Chancellor of Cranfield University. Throughout his career Clifford has played an active role in professional bodies and related regulatory organisations, helping shape accreditation processes and contributing to audits, for regulators and individual academic institutions around the world. Clifford has wide leadership experience working at the interface between higher education and the business world. Until recently he was the non-Executive Chairman of CMD Ltd (an executive development company with £17m turnover) and CEI Ltd – a small knowledge-based SME. He has also been non-Executive Director of CV Ltd, QA Business School Ltd and Sudbury House Hotel Ltd.
Clifford is a Chartered Engineer, Fellow of the Institute of Directors, an alumnus of INSEAD, the French international business school and, until recently, an elected Council member of the CBI. His expertise has frequently been called upon to assist commercial clients, professional institutions around the world and UK government agencies, ranging from DBEIS and The Treasury to the Research Councils and Ministry of Defence. He has also appeared as an expert for the media, on radio and television and has written for broadsheet newspapers and magazines, including the Financial Times and the New Scientist. Key responsibility: To provide all aspects of building reputations, including creating and implementing communication strategies, and delivering complex programmes and projects. 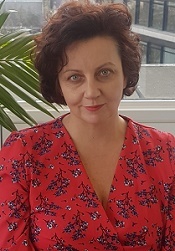 Annette Spencer joined the Institute and Faculty of Actuaries (IFoA) in April 2018 as Director of Public Affairs and Research. She has had a long career in communications in the financial services sectors, including as UK Head of Communications at RSA Insurance and Director of Communications at The Investment Association. She has also held interim assignments at Zurich, the Universities Superannuation Scheme and the Financial Conduct Authority. Annette has broad experience across all aspects of building reputations, including creating and implementing communication strategies, and delivering complex programmes and projects. She is experienced in developing organisational capabilities in media relations, public affairs, digital communications, internal communications, branding, and stakeholder and issues management. Annette is a Classics graduate from Newnham College, Cambridge, and holds an MBA with Distinction. She is a Fellow and Chartered Practitioner of the Chartered Institute of Public Relations (CIPR), and a past Chairman of the CIPR Corporate and Financial Group and past CIPR Council member. Key responsibility: To offer effective and efficient corporate services to support delivery against the strategy. Anne Moore is the Chief Operating Officer for the IFoA. She is a qualified accountant with over 30 years’ experience in various not-for-profit organisations. She has led organisations through complex change management and has been responsible for governance, finance and resources in a number of public sector agencies. Prior to joining the IFoA in 2011, Anne was the inaugural Director of Finance & Corporate Services for the Infrastructure Planning Commission, and prior to that the Director of Corporate Services and Communications for the Sustainable Development Commission. Anne formerly held the position of Director of Resources for the Royal Parks Agency and various other positions within central government. Key responsibility: To regulate our members in such a way as to assure public trust and support business and innovation. Ben Kemp is a Director and General Counsel at the IFoA, leading the General Counsel Directorate. Ben was formerly a partner in the Regulatory and Professional Discipline department of London law firm, Kingsley Napley LLP. Prior to that he trained and worked for ten years as a solicitor with Shepherd + Wedderburn LLP. Ben is dual qualified as a solicitor in Scotland and England & Wales, a solicitor member of the Scottish Solicitors’ Discipline Tribunal and a member of the Professional Standards and Ethics Committee of the Law Society of England and Wales. He additionally serves as a Legal Assessor appointed to advise disciplinary panels of the Royal Institution of Chartered Surveyors and is a part time tutor in public and constitutional law at the University of Edinburgh. Key responsibility: To build a long-term sustainable future for the IFoA through strategic global relationships, whilst ensuring that our members continue to thrive in their careers by opening doors and creating healthy market environments for success. Sarah is a career markets development professional, with experience covering a number of sectors and most of the world! She joined the IFoA in December 2016 as Head of Global Markets Development, and was delighted to be promoted to the new role of Director of Markets Development in March 2018. Prior to this, Sarah worked at Director level for a number of years at the ACCA, the largest professional accounting body in the world, where she had responsibility for market development and emerging markets. She had oversight for market entry strategies and implementation across the Middle East, Europe, Asia, and Africa, and then took lead responsibility for all of ACCA's activities across the breadth of the Americas, ranging from the leadership of the US, Canadian and Caribbean offices to the emerging markets of Latin America. Sarah’s earlier career saw her working as policy manager at BritishAmerican Business (BABi is a transatlantic business networking group for C-suite executives and SMEs in the UK & USA). She has also managed the Asian portfolio at the London Chamber of Commerce leading trade delegations to India, Sri Lanka, Japan, China and Mongolia. She began her career working in the British Diplomatic Service for over a decade, which included postings to Washington DC and Montserrat in the Caribbean. Sarah thrives on seeking new opportunities, which saw her spend time as an international English teacher, living in both Spain and Mexico.